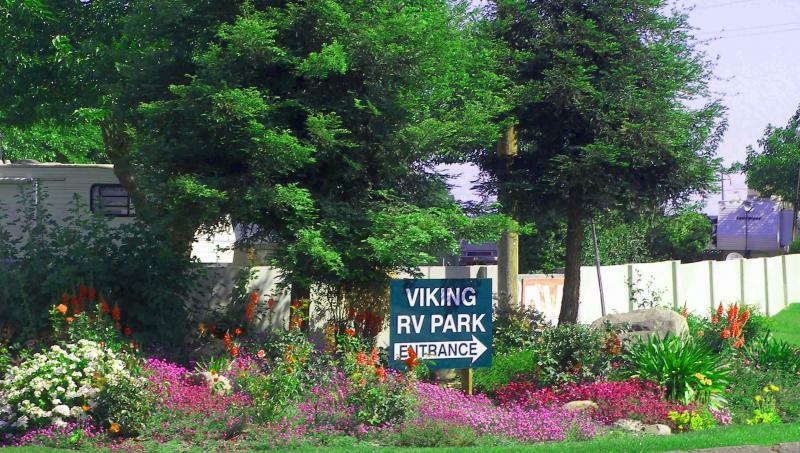 Welcome to Viking RV Park! We are located in the quaint town of Kingsburg in the heart of California's Central Valley. We are conveniently located with easy access to hwy 99. 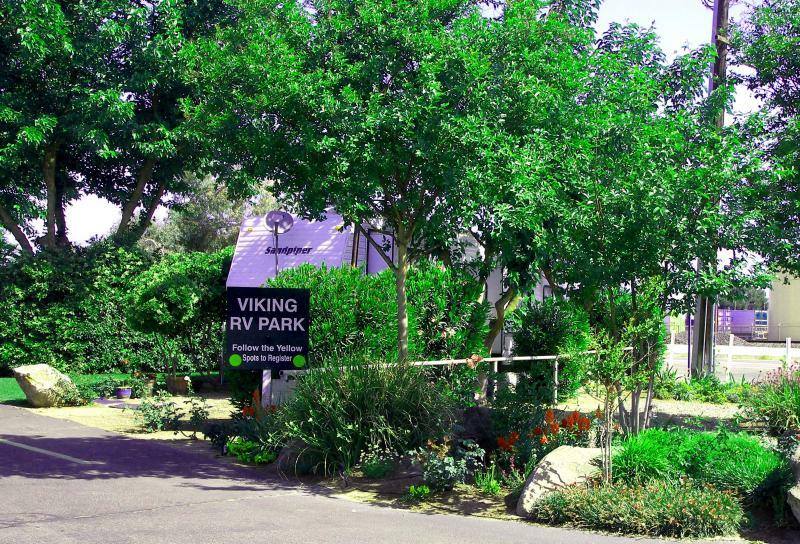 We offer a friendly park like setting with green grass and beautiful shade trees. Laundry facilities, Theater Room, and Restroom available. Small pets welcome, too. Copyright 2016 Viking RV Park, Inc.. All rights reserved.